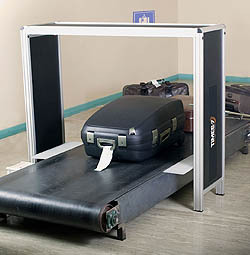 The A6011 Underbelt Antenna combined with the A6020 Conveyor Portal Antenna is perfect for airport baggage handling and provides industry-leading accuracy rates. It can easily be installed into existing airport infrastructure. Portal: Module framework assembled over conveyor.